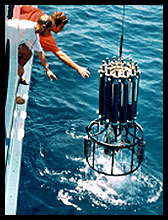 Oceanography is rapidly employing new instrumentation such as multi-spectral satellite imaging, telemetried sensors, fiber optic cable networks, ROVs and submersibles, and shipboard sampling and analysis to monitor the state of the Earth's oceans from coastal waters to the mid-ocean ridges. The purpose of this workshop was to bring together leaders in the field to explore ways to effectively integrate exciting new scientific research and methods into undergraduate Earth science courses (including lower and upper division courses in oceanography, geology, and related courses). Go to the workshop program to see the PowerPoint presentations, posters and notes from the workshop. To support your work both before and after the workshop, we have developed a digital collection of online resources about teaching the ocean system. Datasets and data-rich resources that can be used in the classroom. We would like to ask for your help in building this collection. 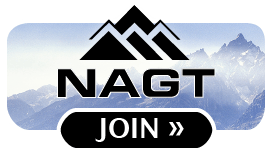 Please contribute your favorite web sites or teaching materials. 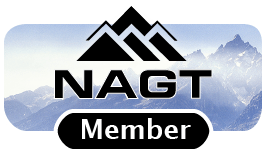 This workshop is part of the On the Cutting Edge professional development program for current and future geoscience faculty, supported by the National Association of Geoscience Teachers with funding provided by a grant from the National Science Foundation - Division of Undergraduate Education . 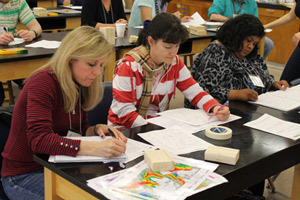 This workshop was built upon prior workshops such as Using Data in the Classroom, Using Global Data Sets in Teaching Earth Processes, and Teaching Geoscience with Visualizations: Using Images, Animations and Modules Effectively. We are part of the Digital Library for Earth System Education (DLESE).